DEFINEART: DARRYLL SCHIFF TO JOIN THE WABASH ARTS CORRIDOR! 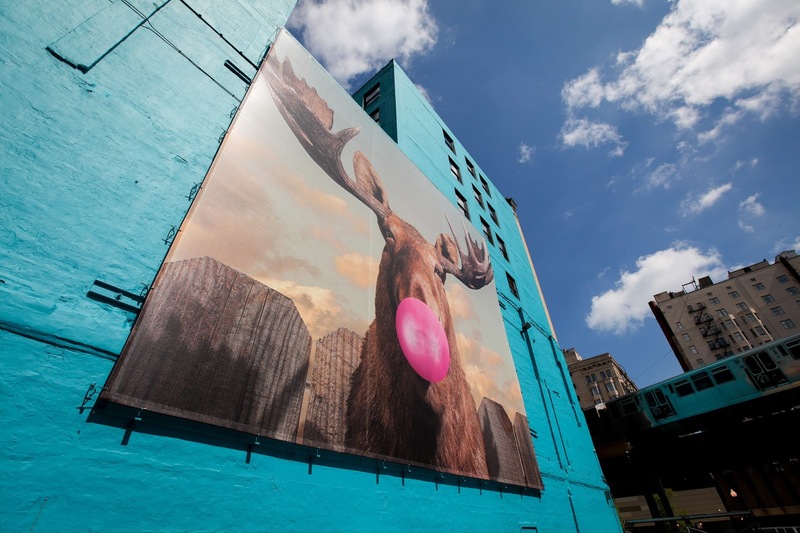 DARRYLL SCHIFF TO JOIN THE WABASH ARTS CORRIDOR! 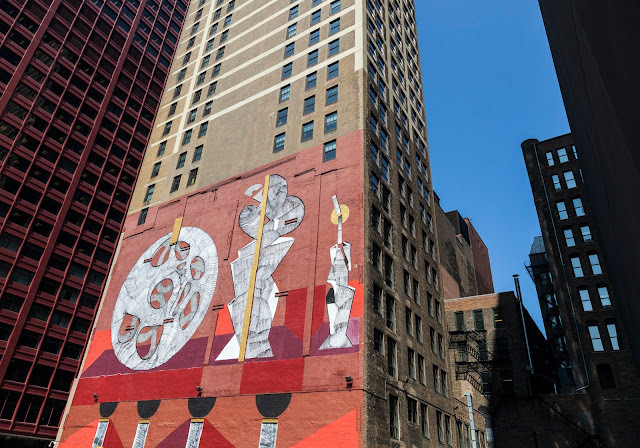 The team at Darryll Schiff Fine Art is thrilled to announce a new project to showcase Darryll Schiff's acclaimed photographic works in Chicago's Wabash Arts Corridor (WAC). 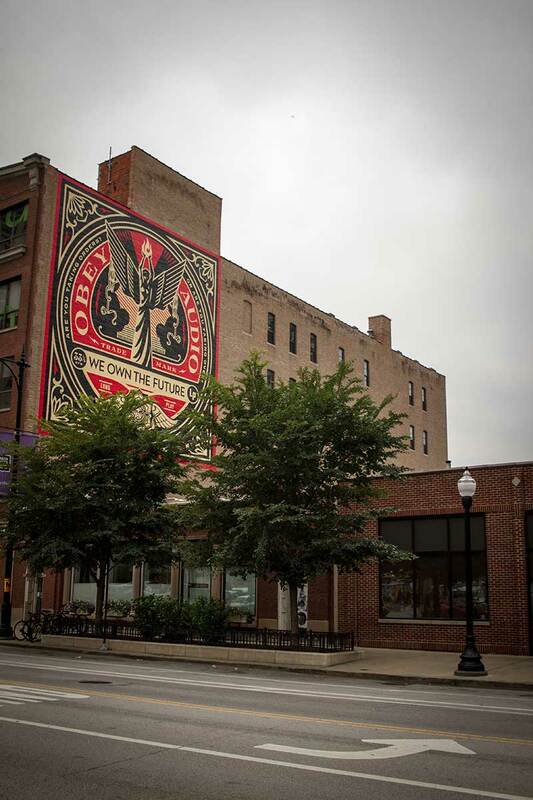 Darryll Schiff will be joining the likes of Shepard Fairey (OBEY series, Obama HOPE), Cleon Peterson, POSE, RETNA, Hebru Brantley, Ben Eine, Heidi Unkefer, Jacob Watts and Never 2501 who already have large scale art works featured indefinitely as part of the Wabash Arts Corridor. 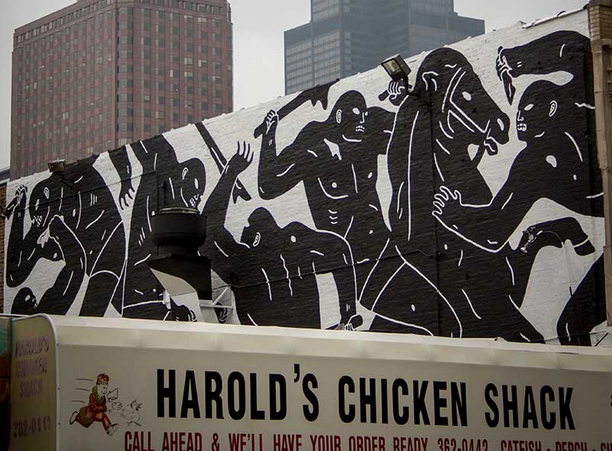 This outdoor mural project is part of the growth and expansion of one of Chicago's major emerging art scenes. The WAC’s latest installments include the works of international and local artists at the top of their fields. For those who don’t know – Darryll Schiff is a Chicago-based fine art photographer with works in numerous museums, businesses and private residence around the world. 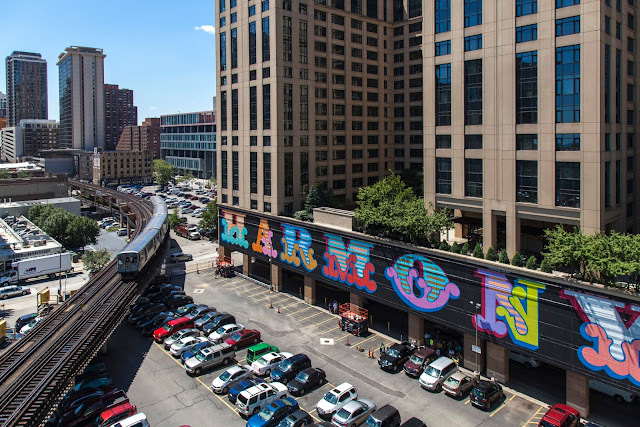 Some of the many noteworthy institutions that are home to Darryll’s work include the Metropolitan Museum of Art in New York, the Art Institute of Chicago, the Museum of Contemporary Art in Chicago and Columbia College’s very own Museum of Contemporary Photography. Part of Darryll’s vision is to always exhibit larger, no matter how massive the size. 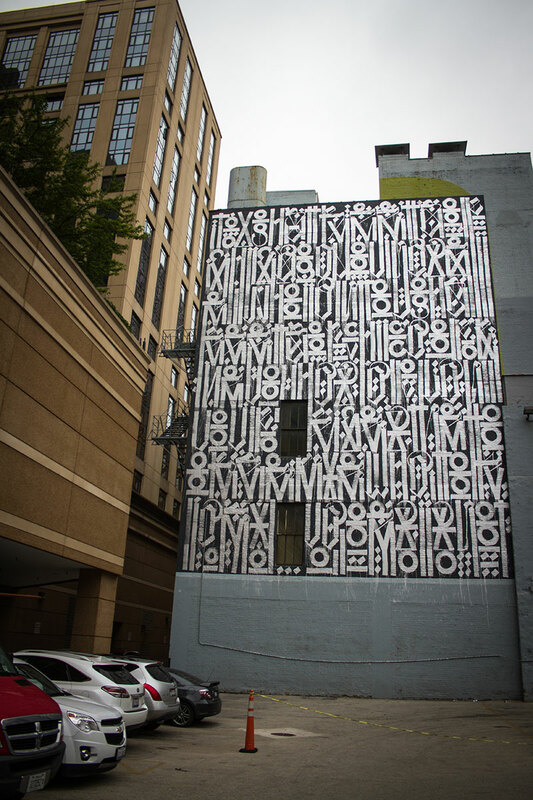 We are excited to pursue this urban art platform to showcase work that is larger than life! We will be launching a Kickstarter campaign to raise funds for this project, please contribute to help expand Chicagoland’s arts community. The WAC Council is dedicated to the development of this project and future projects of its kind. Your funds will be used to pursue Darryll Schiff’s exciting public art endeavor with the WAC to greater benefit the arts community of Chicago. In fact, coming soon to the Wabash Arts Corridor is "The Wabash Lights" a project similarly Kickstarted by art professionals Jack C. Newell and Seth Unger. 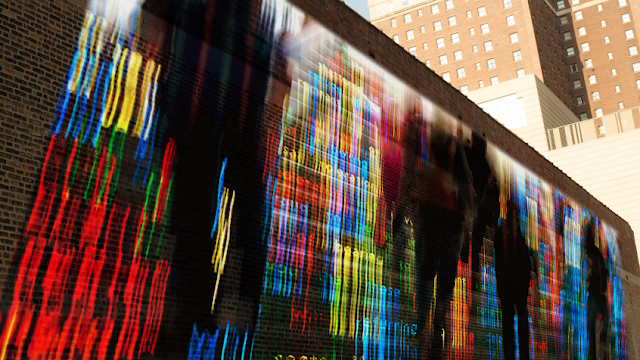 The Wabash Lights is a site specific light installation on the underside of the Wabash Avenue elevated tracks in the Chicago South Loop. 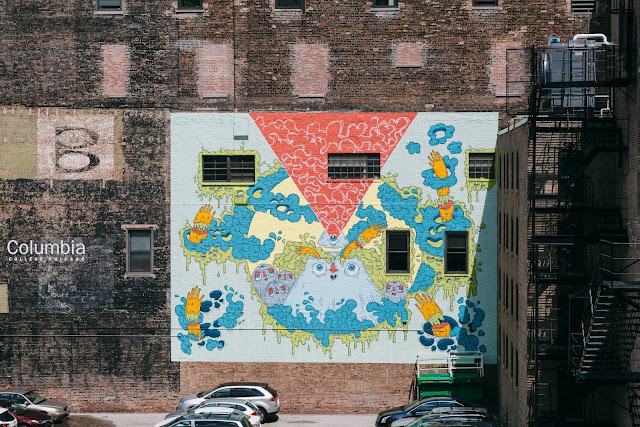 Formed by Columbia College Chicago, the WAC seeks to turn the budding arts community of Chicago’s South Loop into a dynamic arts corridor rich with creativity and culture. The WAC Council has brought us innovative projects in the past including the installation of large scale fashion photography on the exterior of the Hilton Chicago, a mural project on George’s Lounge, the expansion of Columbia College’s papermaker’s garden, the installation of student-artist Jacob Watt's large scale arts banner hung at 33 E. Congress, a new mural by talented aumni artist Heidi Unkefer and murals from acclaimed street artists Shepard Fairey, Cleon Peterson, POSE, RETNA, Hebru Brantely, Ben Eine and Never 2501. The WAC offers a unique experience provided by today’s most compelling artists. The majority of fine art is found in well-preserved galleries and museum spaces for viewing pleasure at a cost, or for purchase at an even higher cost. What the WAC provides differently is free art to the public, and artworks at a much larger scale with more possibilities than ever imaginable. Our intent is to create something special for the public to experience and enjoy everyday completely free of charge.